If you're looking for high-quality protective casing for your DJ controller, look no further! At Absolute Casing Ltd, we understand that expensive and fragile DJ equipment needs to be protected and secure throughout storage and transportation. Our designers work with you to create high-quality bespoke DJ equipment cases that perfectly suit your requirements and fit your DJ controller. 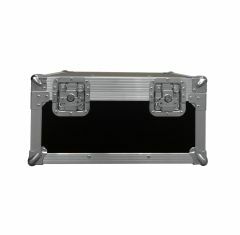 Our DJ controller flight cases are designed and manufactured to perfectly fit and protect your specific DJ controller. Our custom CNC routed foam fittings provide your DJ controller with excellent protection and stability when housed in the case.